Air Malta is a small airline, based as you might expect on the island of Malta. It is one of the few airlines left in Europe with a full service concept, and a large route network with which it services 36 destinations in Europe and North Africa using a relatively small fleet of 12 aircraft, all of which are Airbus single isle planes. Passenger's opinions of Air Malta are generally pretty favourable, with the quality of the onboard service, food, and even entertainment coming as a surprise. Fares are a little higher than you'd expect, if only because the airlines has a semi-monopoly on some of its routes. On many of these, it is the only airline still operating a business class cabin. The airline's hub and base is at Malta International Airport, near Luqa, from where it seems everyone on the island is aware of the latest developments at the airline. 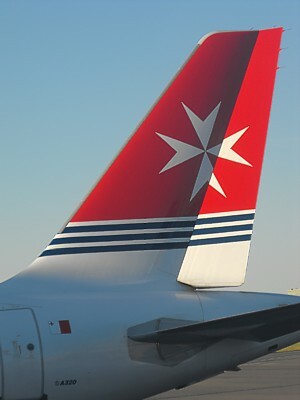 Air Malta is 98% owned by the Maltese government, with a small 2% by private investors. 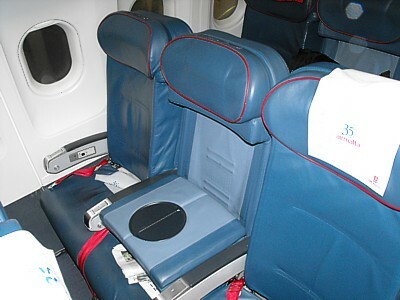 Air Malta has an exclusively narrowbody Airbus fleet, and uses pretty standard Airbus seats throughout. 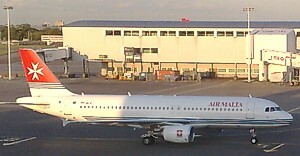 Air Malta Airlines has a fleet of 12, with two variants of the narrowbody single isle Airbus A319/A320. 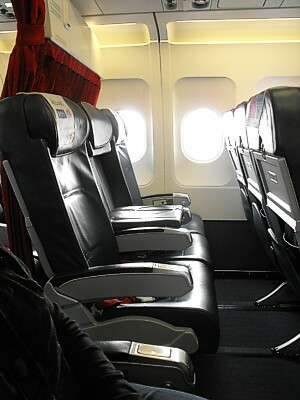 All seats are in a 3-3 layout in economy, which has a very standard Airbus seat, with little to recommend or veto it. In Business Class the seats are pretty much the same, although the middle seat is flipped down to give a small side table. The seats at the front of the plane are also in leather, and are slightly wider space, giving a 34" pitch, rather than the 32" down the back. There are 7 of the A320 which seat 168, with business class passengers in the front three rows, which is separated by a curtain from economy. In economy Row 10 and Row 11 are the overwing emergency exit - if you ask to sit here, you will get 2 inches more legroom. There are 5 of the smaller A319 which has only one overwing ejectable windows - sit here, in row 10, and you'll get 2 inches extra legroom. All models have large 14 inch fold down LCD TV screen under the overhead lockers for both classes. Service can be a bit slow, with only a single isle for service. The amount of business class seating can vary on the Airbus, by moving the curtain, however it is rare for Air Malta to move it from between row 3 and row 4. Reviews and opinions are normally very positive about Air Malta, although its possible that this is because many passengers fly only once on Air Malta, to go on holiday, and expect a low cost carrier. Air Malta is anything but, and operates a full service with free food, drinks, and luggage transfers. 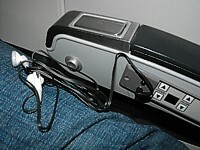 The Business Class is normally only the first two or three rows, and so there is normally only one crew member with the service, however they do their best, starting with a newspaper run before takeoff, then hot towels and once into the cruise, a drink service which starts from the front left. Food is served from the front galley, without a trolley, and this can slow things down if you are in the back row of business, but you'll get a bread roll, and then the main tray of food. Drinks are continually topped up, and there is cognac on offer after the coffee. In economy soon after takeoff the crew walk through handing out headphones, half an hour or so later they'll slowly start with the food service (on a trolley from the front left), and finally there is a drink trolley from front to back. You have to pay for alcoholic drinks, and the trolley only comes through once, so you have to press the service bell for a refill. You'll find a magazine in the seatbacks - Skylife. It's Air Malta's recently revamped inflight magazine. And a pretty chunky one it is too. It is produced by Bluemedia in Gzira, Malta. Printed in English, there are normally three features on Maltese attractions. There is often something on food, fashion, and yachting (another favourite of the Maltese). Often one travel item is bought in from other magazines, so you may have read it before. There is a good map of Malta half way through. Film listings are on the last few pages. A bit of a surprise, Air Malta has a full inflight entertainment system, and shows films on many of its flights: certainly the longer haul ones, and on its flagship route to the UK. Inflight entertainment is shown on the overhead TV screens (there are no seatback TVs) on the Airbuses. On Heathrow, Gatwick, Manchester, Frankfurt and Brussels flights there is normally one mainstream Hollywood blockbuster per flight, plus a short comedy following it if there is a little extra time. One the films have finished, the screens revert to the usual moving map. Film listings are in the inflight magazine, and also online. There are also 10 radio channels on board, although some of the channels are decidedly ethnic in tastes. There is only one mainstream rock / pop channel. Headphones are the same in both Business Class and economy: they are the cheapest possible sit-in-the-ear headphones, with a single 3.5mm jack plug. Despite this, the quality is surprising good, and the audio is in stereo. Air Malta has a pretty standard luggage allowance for each flight. Cabin Bags: You can take one bag weighing up to 8kgs. It must be no larger than 18 cm x 45 cm x 50 cm. Check in luggage: On all routes economy class can check in one bag weighing 20kg, and business class can check in two bags up to a total weight of 30kg. Frequent Flyers who have Air Malta Diamond Tier Level gain an extra 20kgs luggage allowance, however this benefit is not extended to any other Frequent Flyer scheme. Air Malta's website has details of exactly what you can take onto a flight. Air Malta's main base is at Malta International Airport (MLA) near Luqa. Air Malta has been quite clever in it's route structure. Apart from main-line routes, such as to the UK, it realises that many of its passengers are either holiday makers or islanders who want to get to a destination to visit relatives. These routes may not be able to sustain a daily service, but passengers will tolerate flights two or three times a week, so long as they get there direct. As a result Air Malta seems to have a vast route network, but on many of these routes, it flies just once or twice a week. There are Air Malta flights from Malta to London Heathrow three times a day on a weekday at 0715 (arrives 0945), 1540 (arrives 1810) and 1655 (arrives 1925). At a weekend there are only two flights a day. Air Malta also flies daily to Gatwick at 0840 (arrives 1055) and 1910 (arrives 2125). Around the UK, there are Air Malta flights to Birmingham (twice a week), Manchester (daily), and a seasonal weekend flight to Glasgow. Air Malta flys from Malta to Frankfurt twice a day at 1255 and 1525, plus there is an extra Lufthansa codeshare at weekends. Air Malta also has flights to Brussels (daily at 1605, return at 2010), Sofia (Bulgaria), Paris (twice a day to both Charles de Gaulle and Orly), Berlin (Tegel), Düsseldorf (4 flights a week), Hamburg, Leipzig, Munich, Athens (6 flights a week), Budapest, Milan (Malpensa), Catania (Daily to Fontanarossa), Rome (Twice a day to Leonardo da Vinci-Fiumicino), Amsterdam (Daily to Schiphol), Moscow (Sheremetyevo, plus a seasonal route to Domodedovo), Geneva, Zurich (5 flights a week) and Istanbul (Atatürk). This information is intended as a guide, but for up to the minute timetables, please consult Air Malta. 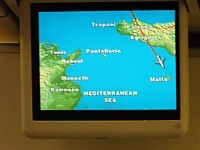 There is one route that doesn't go to a European destination: Tripoli International Airport. Air Malta has many interline ticketing agreements with other airlines. 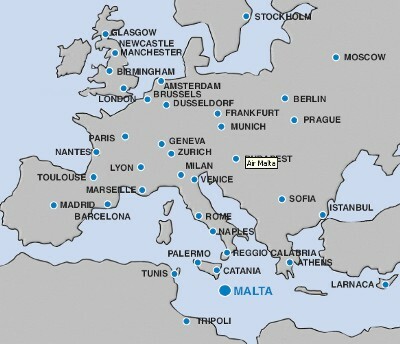 For example, you can even get on a codeshare with Qantas, via Heathrow to Malta. News: As from 27th November you can now earn KMiles when travelling on Lufthansa’s global network. Air Malta Frequent Flyer Program is called FlyPass. Although it is not part of any airline alliance, it has some commonalties with the Star Alliance. The vast codesharing network that Air Malta has mainly uses Star Alliance airlines, if these flight have an Air Malta code, by and large you can't put them on any Star Alliance frequent flyer scheme. Air Malta have a fairly standard mileage system for their Frequent Flier club, although the miles are called KMiles, or KM. They operate in miles, not in Kilometers. You essentially earn 1 Kmile for each actual flight mile you fly on Air Malta. Joining is easy; it's possible to do it online. However beware that once your membership application form has been registered you become a temporary Flypass member, and you have to earn 10,000 KMiles in 12 calendar months ending each calendar year otherwise you loose the miles, and have to start again. You earn one KMile Flypass Mile for every mile you fly on Air Malta tickets, with a multiplier according to how much you spend on that ticket. With flights less than 500 miles, you earn a minimum of 500km Flypass Miles. Economy Flexi Tickets (Booking Class S, W, N) earn x0.5 miles flown, Economy Flexi First Tier (B,G,K,H,Q,T) earn the miles flow, and Flexi Second Tier (L,M,V,Y) earn twice the miles flown. Business Class (C, D and I) earns x3 the miles flown. For for example Economy Flexi First Tier from Malta to Rome earns 500 miles, to Milan 741, to Frankfurt 1025, to London Heathrow 1310 and to Moscow 1745 KMiles. You can earn KMiles on Lufthansa. Discounted Economy (S, W) earns x.5 of the KMiles flown, Economy (M, H, Q, G, V, K) earns the KMiles flown, and Business Class (C, D, Z) earns x2 of the Miles Flown. It is also possible to spend KMiles on Lufthansa, with 45,000 KMiles needs for a European Economy award, and 160,000 for a Business class flight to North America. Miles can also be earned on Swiss, and CSA Czech Airlines. One other, rather obscure way to earn Air Malta KMiles is through HSBC, which has a large base on Malta. If you bank with HSBC, and have an HSBC Premier MasterCard these can be converted to FlyPass KMiles, (at the rate of 1 HSBC point = 1 KMile). This is the basic mileage earning level. You can earn miles, but that's about it, and you have to earn 10,000 Kmiles in one year for your membership to become permanent. However, if you don't achieve this in one year, you'll loose your miles. Once you earn 10,000 KMiles (excluding Bonus KMiles) in 12 calendar months (January - December) through flying, you will be automatically upgraded to Permanent status. This Permanent status does not have any expiry period. There are 25% Bonus Miles for each mile flown per segment. Air Malta Diamond Tier Level can be achieved at 35,000 KMiles (excluding Bonus KMiles) in 12 calendar months (January - December) through flight activity on Air Malta schedule operated services. If you don't achieve this in a year, you'll be bounced back to the permanent tier level. If you renew Diamond Tier, each year you achieve the 35,000 miles, you'll get a credit of 3000 KMiles. There are 50% Bonus Miles for each mile flown per segment. You get to check in at the business class check in desks, an extra 20kgs luggage allowance, and you also get lounge access on economy ticket to the Malta lounge. Another rather trivial benefit of this tier level is you get 2 partner upgrade vouchers: to use these, you have to buy a business class ticket, then contact Air Malta and they will give you another Business Class ticket on the same flight. NEWS: Air Malta is expected to shortly close its arrivals lounge. Air Malta does not have any of its own lounges. Instead at it's hub at Malta International Airport (MLA) near Luqa, the main departure lounge, and a tiny arrivals lounge, are contract lounges. 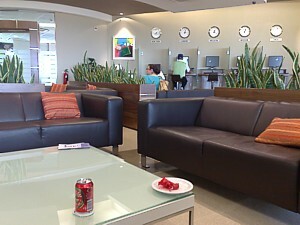 Elsewhere, main airport contract lounges are used. 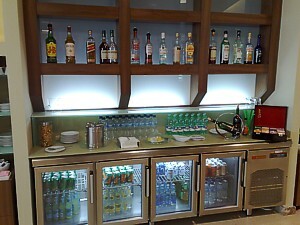 For its size, the Air Malta lounge at MLA punches well above its weight. 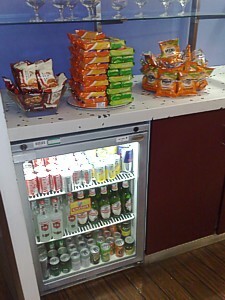 You may not be expecting much, but actually the Air Malta lounge puts much larger airlines to shame. 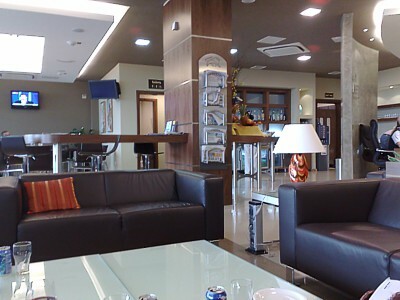 Although nominally tied in to Air Malta, from where most of its passengers come from, the lounge is actually independent, and used by many other airlines, such as British Airways. You can also buy your way in for 29euro per person. Accordingly if you are on Air Malta as a business class passenger, you must collect an invitation at check in. However, HSBC Premier customers gain access just by waving an ATM or Credit Card (No access for guests). The La Valette Executive Lounge has a very nice atmosphere and friendly staff, although it is in effect just a small box. There are windows along the far wall that overlook not much at all. However there are plenty of nice comfortable brown leather sofas which are nice and squishy, and low glass coffee tables. 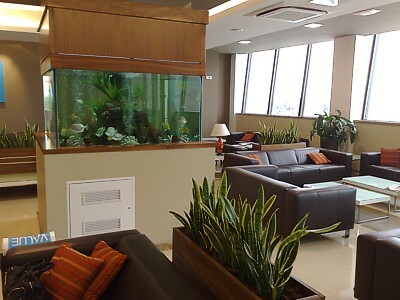 There is a small aquarium in the lounge, while in the far corner is glass box that is the smoking room. Food in the lounge is great. In the far corner, right beside the receptionist, there is a food counter, with sandwiches under the Perspex dome. Beside this is a heated cabinet with hot cheese rolls and pastries. In the fringe beside it are more rolls and cheese, plus some Maltese specialities, and sandwiches in packets (however, there is a sign warning you not to take them out of the lounge and onto a flight). On the central bar are more snacks, with fruit (apples, and pineapples), small muffins, biscuits and nuts. The bar is equally good, with the usual alcoholic beverages. There are 15 spirits in bottles high over the bar, then on the bar top there are two bottles of red, and in the fridge below are two bottles of white. Both of these wines are Maltese, and should be avoided - Maltese wine is definitely an acquired taste. Beer is a bit harder to trace in the lounge: there is the unusual Cisk Maltese beer in cans, and very unusually, Hopleaf Pale Ale. Both of these are brewed on the island. There are plenty of mixers and in the fringe too. On the counter top are bottles of water, and in the box beside them, plenty of tea bags. There is one TV screen which is usually held on Sky News. There are newspapers, but not many of them: there are just five, in a rack stuck to the central wooden pillar. Only one of these is a UK newspaper, and it's generally the Daily Express. There are five computers with free internet access along the nearside wall, under the five clocks with world time. There is a printer. The lounge is a (free) Wifi hotspot, but is a bit iffy, so you're better off using the computers provided. Toilets are inside the lounge, but there are no showers. This is a tiny broom cupboard, with few facilities. However there is a small coffee machine, and in the morning rolls and pastries are left out. Air Malta do not have their own lounge at the other end of the flagship LHR route. 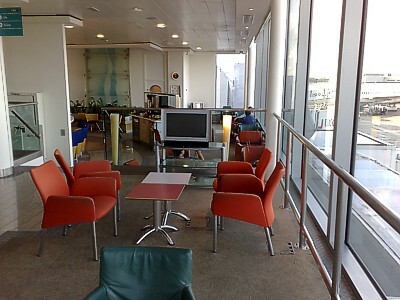 Instead Air Malta offer access to the 4Deck lounge (which was previously known as the Holideck). It is a contract lounge that is mainly used by KLM and African Airlines: as a result in the evenings it can get insanely busy, although thankfully most of these passengers rarely bother exploring the top two levels of the lounge. 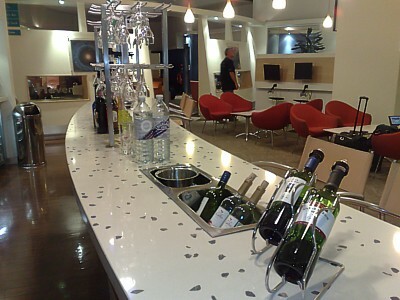 As a contract lounge it is vital you get an invitation at check in, which is offered to all Business Class passengers. Alternately you can get in if you are a Priority Pass Cardholder, or just end up paying the £20 on the door (cheaper if you book in advance at holideck.co.uk or call 020 8750 9807). Once you are in the front door, the lounge has three floors (or what are known as "decks"). On the ground floor there is a long curved bar, and seats racked around a TV. Beyond a half wall there is a quiet area with another bar, and a small sleeping area. Many passengers think that this is it for the lounge: it isn't, but you either have to go up the half flight of stairs next to the bar to find the lift, or use the stairs opposite the checkin counter for the other two levels. Behind this counter is the childrens area, with a Nesquik bar. Upstairs there is a small much more private VIP lounge with lovely comfy cream seats and a great view of the gates, and beside this another bar - called the sports bar - with TVs on Sky Sports all day. Finally, on the top floor is the Flight Deck which offers great runway views. The Bars are worthy of note, if only because of the sheer variety of alcoholic drinks that are available. The bar downstairs is self serve, while the one upstairs has a bar tender. Downstairs are optics with Gordon's Gin, Smirnoff Vodka, Bacardi, Campari, VSOP, Martini (all three varieties) and Baileys. Upstairs there is a much better selection. In the fridge are alcopops like Smirnoff Ice, plus the beer which is Kingfisher, London Pride, Bud, and Carlsberg. On the counter top are three different types of red plus port, and in the trough are three more types of white. Soft drinks start with Red Bull and go on to Fanta, Whites Lemonade, and Coke. There is also the famous Nesquik Milkshake machine on the Children's floor. With all of that, it comes as a surprise that food is a bit lacking. There are no hot offerings. Instead the best food is a Go-Ahead bar (both Orange and Lemon) packets of Mini Cheddars and the like. There are packets of Walkers shortbread, and chocolate biscuits. Olives, nuts and small cheeses are avaiable upstairs. There is a Spa, with showers and toilets inside the lounge. There are only a few computers, but free Wifi in the lounge. Newspapers are well catered for with most of the UK selection (but few international papers) and there are a few magazines, but these are limited to copies of things like Time, which are hidden in the smaller VIP lounge upstairs. The story of Air Malta starts with three small private airlines that merged in 1947 and 1951, from the remnants of The Malta Instone Airline, BAS (Malta) Ltd, and Malta Airlines. These were pretty tiny operations, which were mostly chartered from BEA. Accordingly with independence from the UK looming (despite the island voting to stay as part of the UK), the Maltese government looked for an international airline partner to help set up an airline: rather oddly, Pakistan's PIA won the competition, and set up Air Malta Co Ltd which took it's first flight in 1974. Initially Air Malta started with two leased Boeing 727s that flew the main routes to London, Manchester. It later bought these and added three more, for flights to the UK as well as Rome, Tripoli, Frankfurt and Paris. By 1981 it moved onto a fleet of three Boeing 737-200s, and added three more in 1983 and another three in 1986. Air Malta jumped ship to Airbus in 1987, ordering the A320, having five by 1992, when it experimented with four Avro RJ70s which were used to Catania, Palermo, Tunis and Monastir. 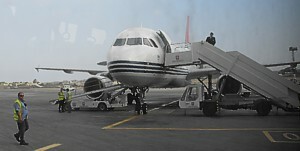 The same year Air Malta's new base of Malta International Airport opened. Air Malta has never had a fatal accident, however in 1997, and Air Malta 737 was hijacked on a flight from Malta to Istanbul. The hijack ended in Cologne with no injuries. Reviews and opinions can differ on Air Malta, as some Air Malta flights are run as charter flights, and here the inflight service can be considerably worse than you'd expect. On Air Malta's flagship route to London, Air Malta codeshares with bmi. However, make no mistake, these are not bmi flights. For a start, the inflight catering is a lot better. However Air Malta do not recognise bmi Diamond Club frequent flyer cards. 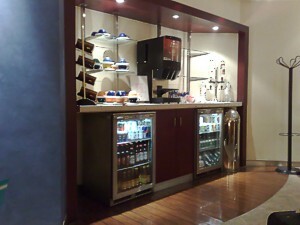 You do not get access to the Air Malta lounge with a Gold Diamond Club card. Nor, indeed, can you use bmi upgrade vouchers. Most crucially, you do not get bmi Diamond Club points, even if you book the flight under a bmi BD code. Effectively, there is no reason to ever book these codeshares, except oddly, if you book the Air Malta flight under a bmi codeshare, and then put the miles on a third party Star Alliance card, you can retrospectively claim these miles as the airlines identify these flights as a Star Alliance flight. Although your mileage may vary. Air Malta has the Western, rather than American, model for upgrades. Which is to say you'll only get an upgrade if economy class is full, and then upgrades are processed accordingly to a pecking order of elite frequent flyer status. So if you aren't at the top tier of FlyPass, tough. The Air Malta website was updated in 2007, and although it still has some primative elements, most of the detail of what you need to know is in there. You can even print out a PDF of the inflight magazine. Booking flights is quite easy, if slow: the Air Malta website seems to take an age. It will however give the spread of fares over a whole week if you tick the box saying "I have flexible dates", and codeshare flights are plainly marked. However it is very hard to book a business class flight using a weekly spread: you need to select this option on the select flights page. If you click on the flight code, the type of plane you are on is shown. Note that all reviews and opinions on Air Malta (KM) food, service, seats, planes, upgrades, lounges, Air Malta's business class lounges, the 4Deck, the La Valette Executive Lounge, and the Frequent Flyer scheme is soley at my judgement. No legal liability is accepted if you take my advice.